We are to microwave repair experts in your area. Whether your microwave oven is built-in, freestanding or combination microwave/fan, we can help you with all the problems you might have. Our services are fast and affordable. Top Home Appliance Repair team is factory trained and certified and all the major brands of microwaves. Those brands include GE, Kenmore, LG, Maytag, Panasonic, Samsung, Sharp, Frigidaire and much more. 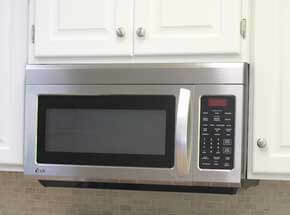 We can do microwave repair on any model or brand. We specialize in high-end and European models of microwaves. If you microwave is not heating, or part of it is broken don’t rush to get a new microwave oven. Call us first! We are ready to come out and do microwave repair in East Bay as well as microwave repair in Oakland. We will get all the information from you on the phone and tell you if your microwave is worth saving. More often than not it is. We will give you a very accurate and reasonable estimate. You will save a lot of money by repairing your microwave versus buying a new one. After an appointment with our licensed technician, your microwave will be as good as new! Top Home Appliance Repair is a well-known name in microwave repair in Oakland as well as all other appliance repairs. We do outstanding job fixing all types of household appliances. Our company is family owned and operated. Our service area includes East Bay, Marin County, Oakland, and Novato as well as surrounding areas. We are a trusted local business, and we work hard to keep our clients happy. We repair all brands and models of appliances. In particular we often work on Asko, Bertazonni, Bosch, Dacor, DCS, Electrolux, Fisher&Paykel, Frigidaire, GE, Jenn-Air, KitchenAid, La Cornue, LG, Liebherr, Marvel, Miele, Perlick, Samsung, Siemens, Sub-Zero, Thermador, Traulsen, True, Viking, Whirlpool, Wolf and many other brands. Our company has a lot of experience in kitchen appliance repair. We are a family owned and operated business. Our service area includes and East Bay. We do both residential appliance repair as well as commercial appliance repair. That includes commercial kitchen repair for any restaurant, cafeteria, careering business and much more. We repair all major home appliances such as refrigerators, dishwashers, washers, dryers, stoves and ranges, ovens, steam ovens, freezers, ice makers, barbecues, pizza ovens, patio heaters and many other services. Call us for all of your microwave repair in East Bay and Marin County. We have a lot of experience, skills, and knowledge on the subject of appliance repair. Our company can fix your broken microwave oven, and we will do it fast. Also, we value excellent customer service, so we make sure all our technicians are always polite and helpful. They will make a repair appointment a breeze. If your microwave oven is in need of repairs, just give us a call. We will give you a pretty accurate estimate and make an appliance repair appointment for you with one of our microwave repair experts. They will be at your house in no time. Our repair will examine and take apart your microwave oven and quickly determine a plan of action. Usually, with microwaves, it’s broken parts that give the trouble. But do not worry, we bring the majority of the parts with us. The parts we carry are high-quality parts and well priced. Whatever is the problem with your microwave oven, we will be able to find a straightforward and fast solution for it. Finally, we are done, and we will do a safety check and make sure everything is plugged in. We present to you a perfectly functional and clean microwave. We also, give you some tips on how to keep your appliance in perfect order. With proper maintenance, an average microwave oven can last yours for many years. Why pick us to do microwave repair for you? You can trust us to do microwave repair in East Bay for you because we have tons of experience. Our company has been doing household appliance repair for many years. Our technicians and highly skilled and factory certified to do their work. Whatever brand or model you microwave is, we know precisely the best and cheapest way to fix it. We are also up on the latest technology. Microwaves those days get more and more complicated technologically, and we make sure repair specialists are up to date on what is going on. Also, our company does our best to save as much money as possible for you. Our repair prices are very reasonable. Also, we know dealers who can get good quality parts and reasonable prices for you. It will be much cheaper to fix your microwave than to get a new one. Plus a lot less hassle. Our customer service is simply the best. The people who work for us are not only top specialists in their field but also excellent, friendly and helpful individuals. We try to make a home appliance repair appointment fast and easy for you. Your time is valuable to us! The final product is always a fully functional microwave that looks and works like new! 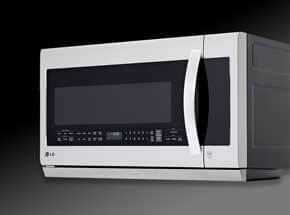 Best microwave repair in Oakland and surrounding areas of San Fransico bay. For all your microwave repair in Oakland and microwave repair in East Bay call us at 925-265-7782. For your microwave repair in Novato and barbecue microwave in Marin County, please call us 628-214-0064. We would love to talk to you and answer all of your questions about appliance repair. Our service area covers Alameda County, Alameda, Berkley, Dublin, Hayward, Livermore, Oakland, Piedmont, Pleasanton, San Leandro, Contra Costa County, Antioch, Brentwood, Clayton, Contra Costa, Concord, Danville, Discovery Bay, East Bay, Lafayette, Oakley, Orinda, Pittsburg, San Ramon, Walnut Creek, Santa Clara County and Sunnyvale. Our microwave was saved by Top Home Appliance. It was a built-in and an expensive model. Thankfully Top Home Appliance totally came through for me. They came over and fixed it within an hour. Now it’s working just fine. What a great bunch of people. From the moment I talked to them on the phone to the moment repair man cam to my house they were super helpful. The quote they gave me was very accurate. I am very happy with their appliance repair service and will recommend them to all my friends!